The NOS section in the Biology guide tells us that: “Scientists also have to be ready for unplanned, surprising, accidental discoveries.” (p6) I see this as an opportunity to discuss the human side of the scientific process. It is also another good time to link science (biology) to TOK. In TOK, we typically think of the natural sciences as being objective, neutral and based predominantly on Reason as a way of knowing. Meticulous observations, carefully planned experiments and independent verification are seen as the hallmarks of science and what gives it a greater sense of certainty than other areas of knowledge such as the human sciences or history. However, while these are important aspects of science, this ignores the fact that science is practiced by humans and as such, is prone to all the messiness that comes from being human. Further, that like any human endeavour, luck, imagination and creativity are also key parts. The discovery of cyclins was indeed a serendipitous event. Tim Hunt, who shared the Nobel Prize in Physiology or Medicine in 2001 for this discovery, said in his Nobel lecture…”I did not set out on my scientific career with the intention of studying the cell cycle, and had no idea that the winding road of discovery would lead in that direction.”(p1). He began his career studying protein synthesis and took to spending summers in the Marine Biological Laboratory at Woods Hole, Massachusetts, conducting research on mitosis in sea urchins. It was this work that led to the discovery of the cyclins, proteins that were first identified because they peaked in concentration during interphase and then declined rapidly just before cell division. 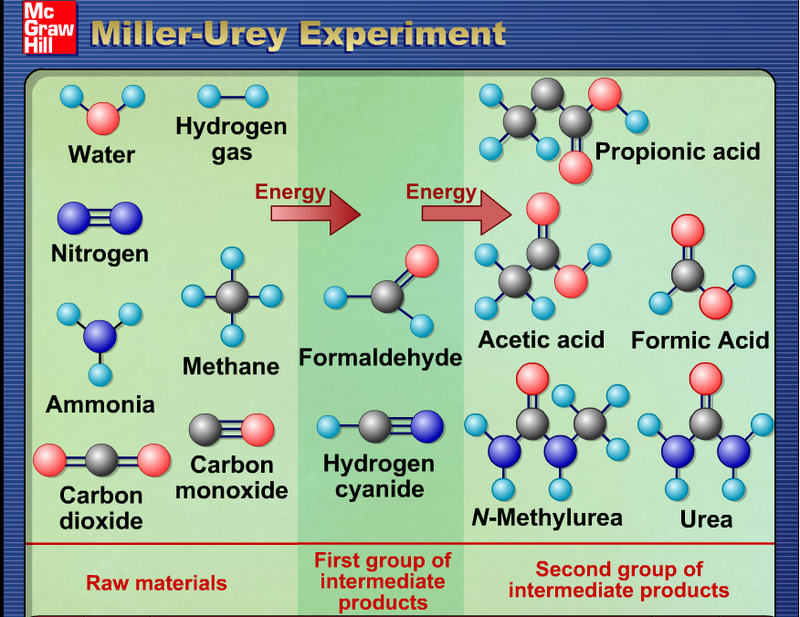 While Hunt and his fellow researchers were demonstrating all the traits of the scientific method: – well-designed experiments testing out hypotheses – they had no idea of what they might discover and the joy of the unknown is an integral part of science at all levels. IB. 2014. Biology Guide: First Exams 2016. Peterson House, Cardiff. Jackson, P. K. 2008. The Hunt for Cyclin. Cell. 134; 199-202. 1.1 Cells – an Introduction Part 2. A prescribed title essay in TOK recently (May 2014) was about the extent that ethics should limit the production of knowledge in the natural sciences. Stem cells was the natural choice of an example for many students who chose this. This topic is the perfect vehicle to link TOK explicitly into the biology classroom and in doing so, allows for some wonderful discussion about this topic. This year, we used a modified Tug for Truth as a way of structuring the discussion. Tug for Truth is part of the Visible Thinking truth routines from Harvard’s Project Zero. You can download PDFs for all of the different routines from their website. 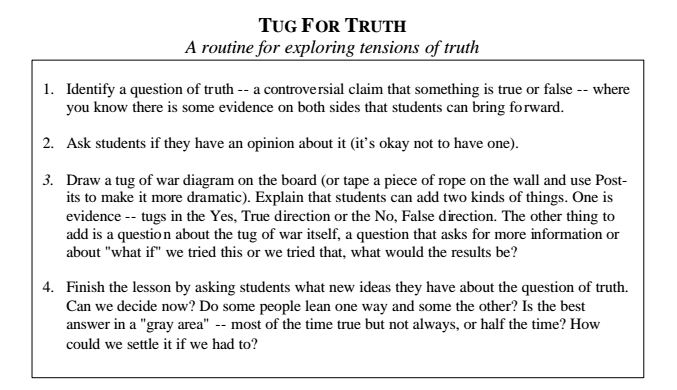 The lesson plan for the Tug-for-Truth suggests picking a controversial topic and then “tugging” the truth by mentioning either true or false claims. In our case, one side tugged in favour of fewer restrictions on stem cell research and the other side called for tighter restrictions. Each side had to justify their claim, thereby moving the “rope” in their direction. The stronger or better-reasoned the claim, the greater the tug. Focusing on TOK allowed students to use the Ways of Knowing to frame their claims – emotion was one that was used consistently. For students, there are a range of great websites available for understanding the stem cell debate and what researchers are discovering: try the University of Utah’s excellent Stem Cells information page, this detailed fact-sheet from Euro Stem Cells and this summary of research advances from the Genetics Policy Institute.